As you can tell by the Christmassy bed covers, I was meant to put this post up about a month ago! The kind people at Maped sent these new watercolour crayons over for my three-year-old cousin to enjoy. Once I had taken the photographs of the crayons in the above packaging, I handed the reviewing job and photographing the crayons in action over to his Mom. I asked her to let me know what she thought of them and also what he thought of them. She told me that my cousin absolutely loved them and had so much fun with them. They were like a crayon in the packaging but they drew wet like a felt tip. She said she liked the concept of the crayons but unfortunately the nibs weren’t very strong so they didn’t last long. One of the things I was glad to find with these crayons was the variety of colours in the pack. I remember when I was little trying to find a peachy shade in a pack of crayons and only being able to find a hot pink, resulting in extremely sunburnt looking drawings of my family. They look quite sturdy on the outside with plastic covering the actual crayon, meaning that hopefully when using them children won’t get crayon all over their hands! The gel-like consistency of the crayons is interesting and I’m sure I would’ve loved these when I was little. It was unfortunate that the nibs weren’t very strong but that’s the only bad point about them, my cousin absolutely loved drawing with them and therefore they achieved the goal of keeping him occupied! 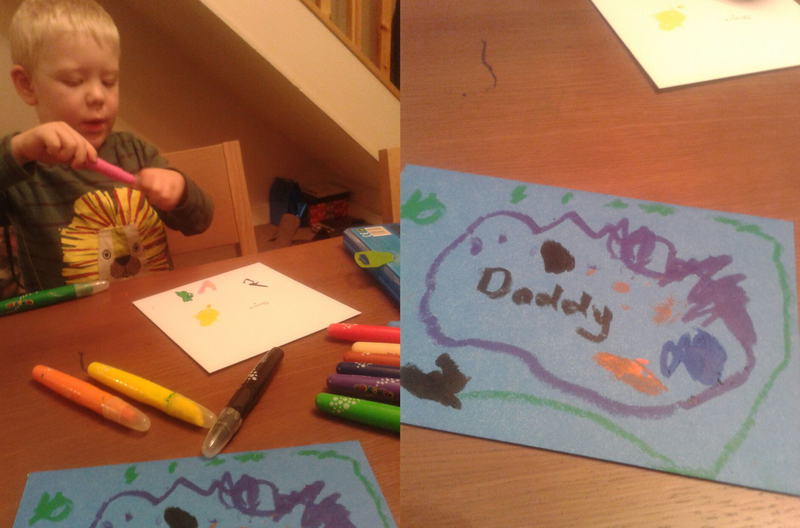 I think if he was a bit older he would’ve enjoyed using a wet paintbrush to blend the colours together on the page. Have you ever used any of Maped’s crayons?